Proceedings of the State Rights Celebration, at Charleston, S.C., July 1st, 1830. Containing the speeches of the Hon. Wm. Drayton and Hon. R. Y. Hayne. 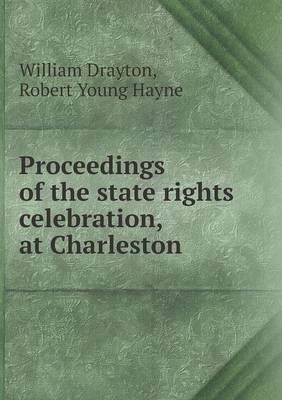 This book, "Proceedings of the state rights celebration, at Charleston", by William Drayton, Robert Young Hayne, is a replication of a book originally published before 1830. It has been restored by human beings, page by page, so that you may enjoy it in a form as close to the original as possible. This book was created using print-on-demand technology. Thank you for supporting classic literature.